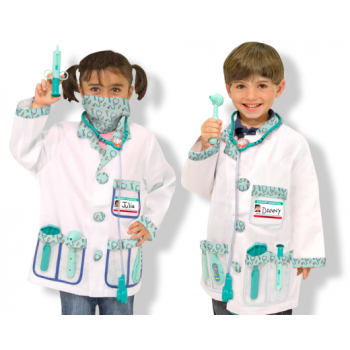 Doctor Role Play Costume Set. 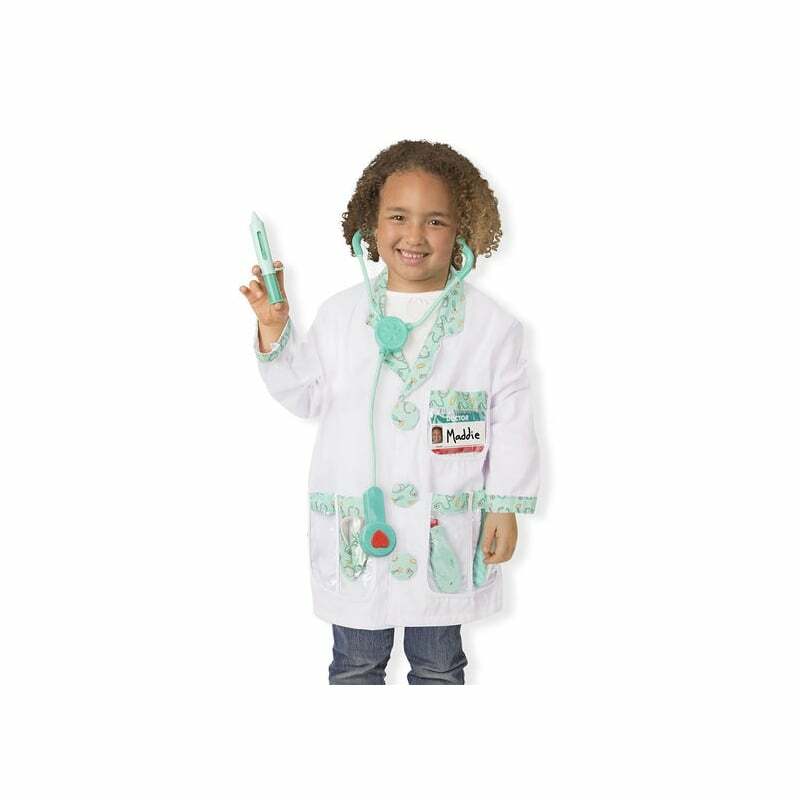 The doctor will see you now. 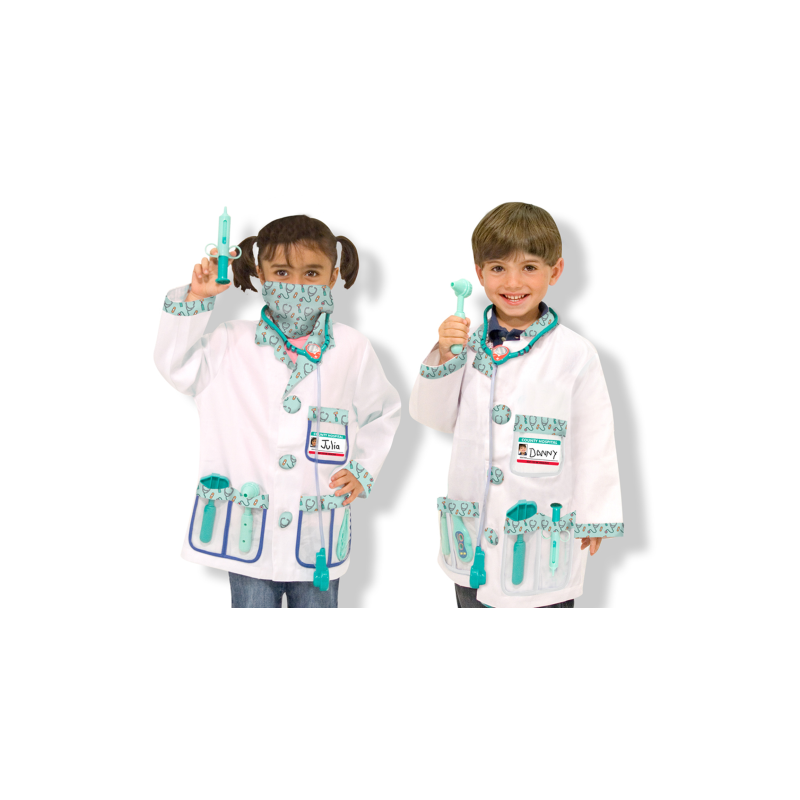 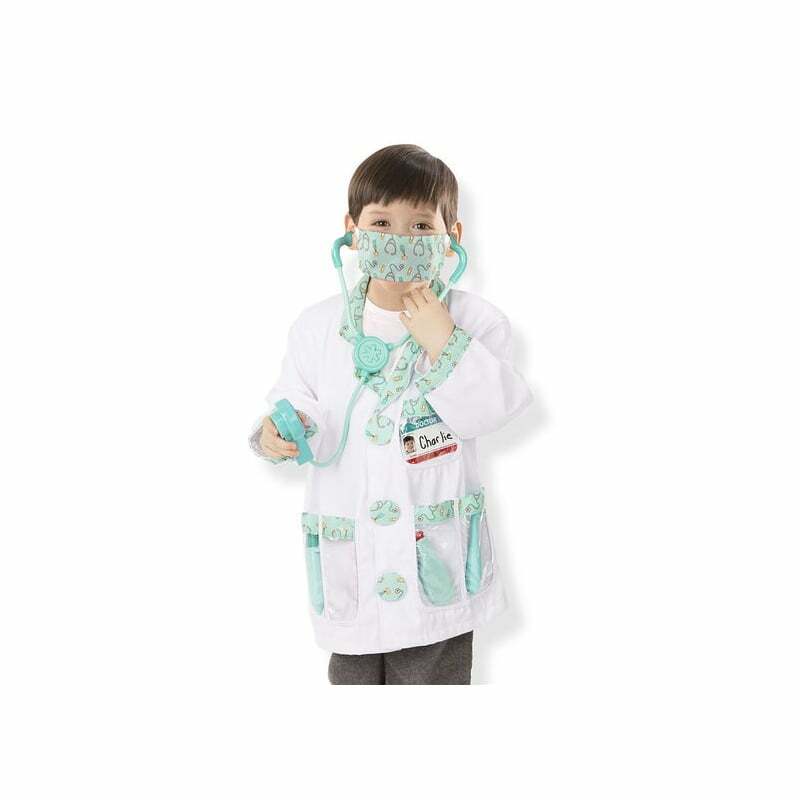 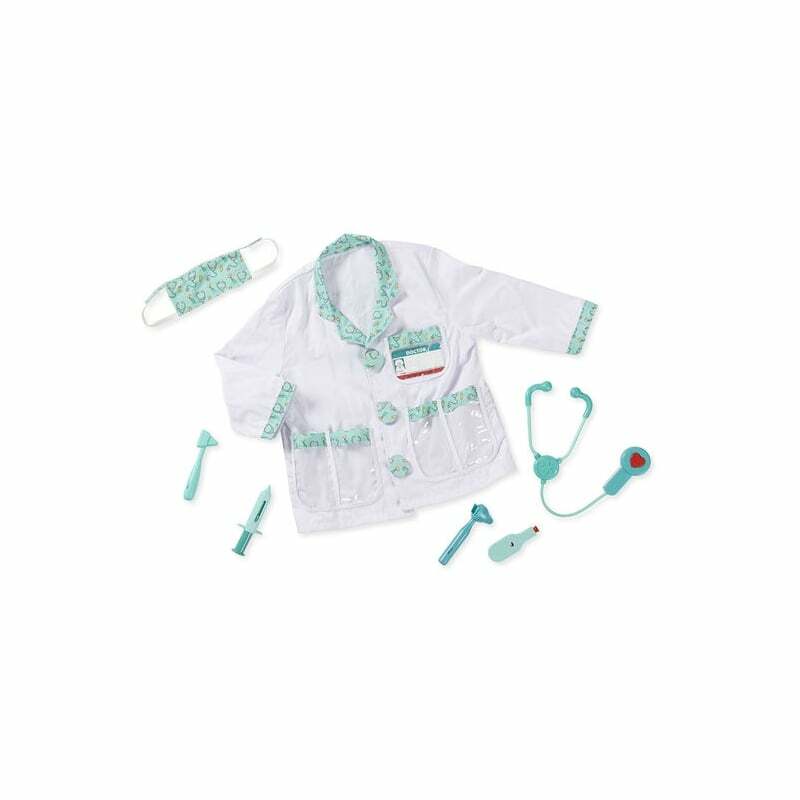 With this set your little doctor will be fully equipped with a jacket and mask, a stethoscope with sound effects, a reflex hammer, an ear scope, a syringe, and a name tag for personalizing. 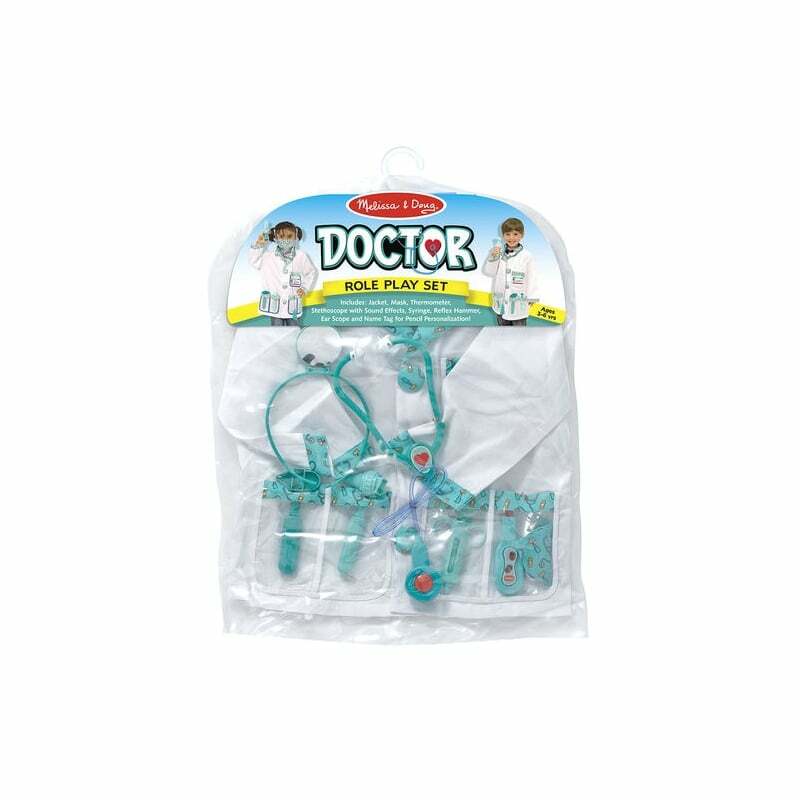 Product: 17.5" x 24" x 0.75"